Get inspired by our creative Christmas decorating ideas to transform your home into a winter wonderland this Christmas. It only happens once a year so why not indulge all of your senses in festivity. Sight, smell, sound, touch and taste; here are some ideas to try for each. Sight: beautiful decorations and lighting of course! Tip: you don’t have to put it up just because you have it. Why not be selective with your decorations this year and only use the ones you love for an uncluttered result that makes your eyes happy! Smell: cinnamon, nutmeg, pine, cloves, orange, vanilla, peppermint, ginger, cedar wood – just some of the fragrances that can conjure up Christmas nostalgia or an uplifting and warm atmosphere. Burn scented candles, arrange dishes of potpourri, or hang clove infused oranges throughout your home to fill it with Christmas smells. A pot of mulled wine warming on the stove or some baking in the oven also works really well. Scents are a very personal thing and there is a huge range of candles, incense and oils available to choose from, so get sniffing to find some that work for you. Sound: have your favourite Christmas music playing gently in the background in the run up to the big day to build excitement and make the most of the season. Whether it’s Bing Crosby or Mariah Carey, it is worth working on a playlist you really love that you can listen to year after year. Touch: get cosy with knitted blankets and cushions, thick socks and new pyjamas. A new rug will give hallways a luscious Christmas feel. Give your clothes and towels a treat with some fabric softener and make them feel like new again. 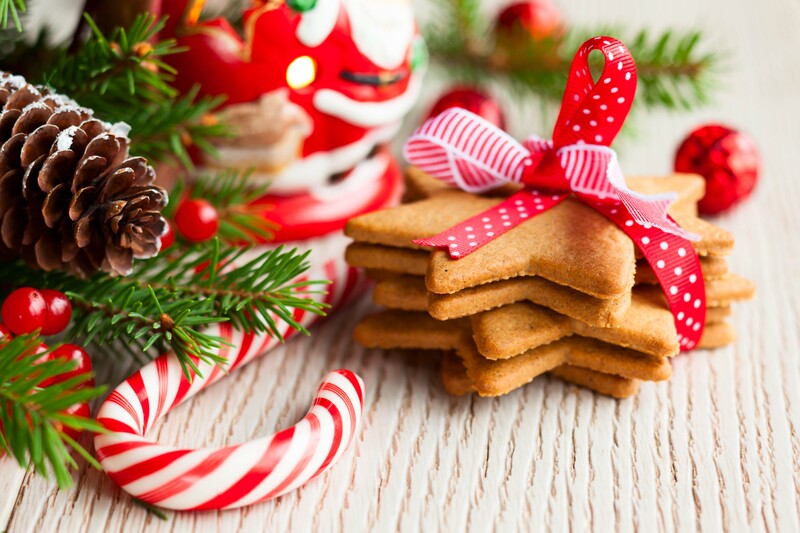 Taste: the festive season is the most nostalgic time of year, which can have you craving the traditional Christmas foods you enjoy each year. From the savoury turkey and ham to the sweet mince pies and puddings, this is a great opportunity to don your apron and try your hand at recipes both new and old. It’s always a good idea to have some baked goods, canapés and drinks on standby for visitors over the holidays too. Play with the lighting in your home until you find the right balance of brightness and sparkle. Dimmed lighting works well with fairy lights, candles and a roaring fire in the evenings. As well as wrapped around the tree, shorter lengths of fairy lights look chic in more unusual places. Look for dark corners where they can be draped, or place them inside a glass lantern or vase along with some baubles. 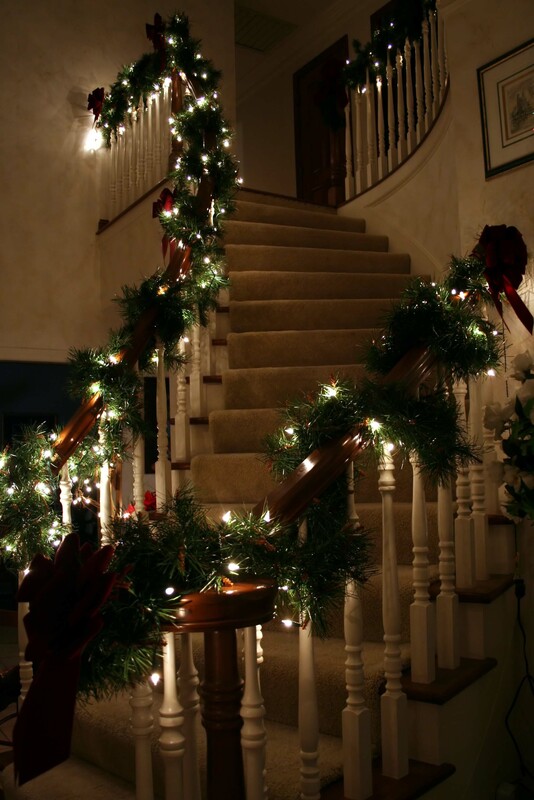 Wrapped around a bough of holly and greenery, they are also perfect for stair banisters. Don’t forget the array of fresh flowers that are in season around Christmas. Poinsettias’ vibrant green and red leaves, and the fact it is a handy potted indoor plant, make it a Christmas favourite. Mistletoe is a must have conversation - and kiss - starter for parties, and is pretty hanging over doorways with its green leaves and white berries. Holly of course is suitable for adding flourish to centrepieces, wreaths, mantelpieces, and even on top of the Christmas pudding. Try a light spray of artificial snow for holly that looks like it’s straight off a Christmas card. A pretty Christmas plate with a glass dome cover will protect and display delicious Christmas snacks like mince pies and gingerbread men. This creates a warm, inviting festive atmosphere for you and your holiday guests to enjoy. Hang candy canes and chocolates on your Christmas tree as a tempting and stylish decoration you can enjoy later on in the holidays, either on Christmas day or when you are taking the decorations down. Fill a glass vase with some traditional olde-style sweets like red and white bullseyes for an eye-catching daytime centrepiece. Personalised baubles and/or Christmas stockings for each member of the family makes your Christmas decorations unique to you, and will ensure everyone feels special and represented. Oversized bows and handmade decorative accents will complete your décor in a way that is unique to you. Who says tree decorations are only for trees? Baubles, pine cones, glittering snowflakes and icicles look amazing when also hung in unexpected places. It’s fun to get crafty with some ribbon and string to create fabulous hanging Christmas mobiles to elegantly fall from ceiling lights. Or fill that glass panelled lantern that was left over from summer parties with baubles for a Christmas transformation.